Seems like I am always a late adopter to new technologies. Weird for a tech-guy like me. In true form I waited until everyone else already owned a Keurig coffee maker and purchased one just before Christmas. I drink less coffee than when I used to make a pot in the morning. From her wheelchair Ann is able to deal with all things Keurig. With the proper k-cup brand I can get a decent cup of coffee. 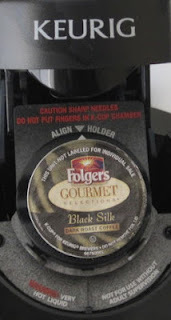 Folgers Black Silk: surprisingly the best dark coffee for the money yet. Starbucks Sumatra: similar to the Black Silk but way more expensive. Emeril's Big Easy Bold: somewhere between Black Silk and Sumatra. Starbucks Verona: surprisingly disappointingly too weak for a k-cup. Gevalia Columbia: very weak but I will drink it in a 6oz serving until it is gone. Wonder if you have any suggestions. I am interested to hear of k-cup brews that you love. I will pass this on to my husband. He is the coffee drinker in the house. I bought him the smaller one last year. Since he only uses it on the weekend we didn't want the resevoir of water sitting all week. So the water is put in as needed. Thanks Debbie! Let me know if he has any coffee recommendations. I got a Keurig brewer for free in Nov. 2011. It was sent to me by the Keurig company, they sent out hundreds of free ones plus gave us a year's worth of free coffee - all we had to do was be part of their online community and answer questions/discuss the products. So I have the very basic model, and the year's worth of "free" coffee sent bi-monthly was not nearly enough to last a year so I bought a lot of it myself. I am not complaining! I love it and will be a customer for life. My very favorite flavor is Wolfgang Puck's "Breakfast in Bed". I also like Paul Newman brand, and Green Mountain's medium roast. I am not a super dark coffee lover so you may not like those. I buy all of my coffee with coupons for Bed Bath and Beyond. My sister and I get a 10% off one item once a month and buy 2 boxes of coffee from them every month...free shipping if I don't feel like going into the store. They have a huge selection. Kohl's also has good sales on Keurig and I use their coupons too. I rarely pay full price for it. Hope you are well dear friend! Have a great week! You need to try the following dark roast(on large setting): Dark Magic or Sumatra Reserve(Green Mountain), Barista Italian or French roast, or Eight O'clock dark italian. Thanks JK! Since writing this I have tried and liked the Dark Magic and the Barista Italian Roast. They are more expensive than the Folgers Dark Silk. 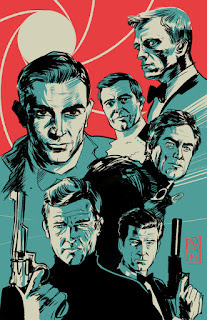 The Eight O'clock Dark Italian intrigues me because I think I can buy it cheaper than the rest. I owned one of these and loved it until it signaled me to descale and I wasn't able to do it. I descaled it exactly as indicated, many times. It would work once or twice and then signal for another descaling. A little research online revealed that this is a significant issue. When the small tubing becomes fouled, it cannot be adequately descaled. I used the refillable My K-cup filter basket. You can save a lot of money on coffee if you don't mind filling the basket and rinsing it between uses. I still use K-cups for flavor coffees that I didn't drink often or to have a wide selection for guests. Thanks Joe. How long before it signaled you to descale? More than one year. At most 18 months. I was very disappointed because I liked it a lot. That may not be a problem anymore. Did you look online? Check the comments on the link below. Most of the issues are scaling problems. First indication is a reduced amount of coffee is produced. Many of the commenters liked the coffeemaker a lot until it failed. Good luck. Thanks Joe! I think that I will follow their advice and descale every 6 months.